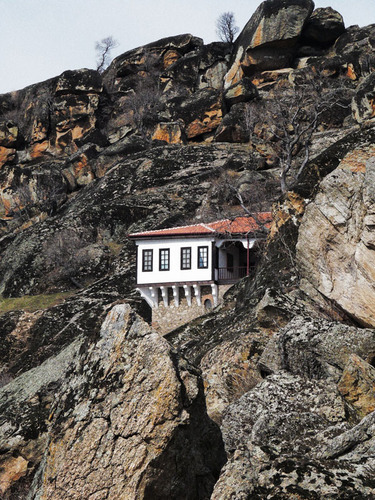 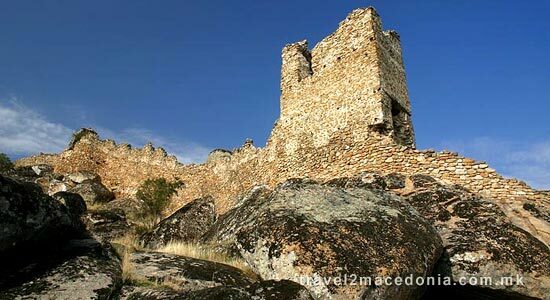 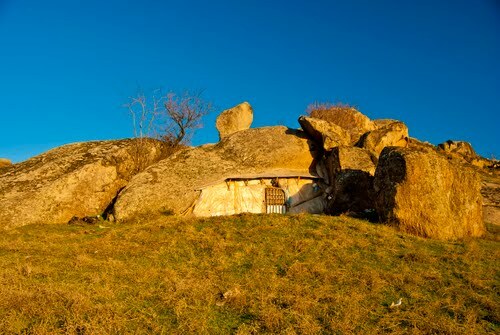 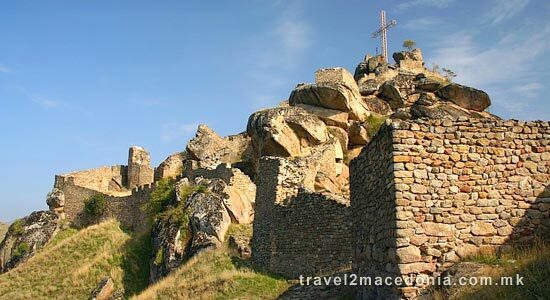 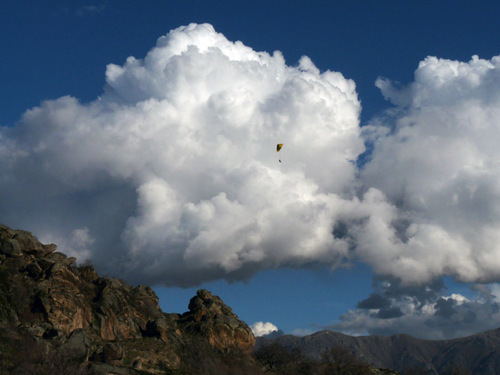 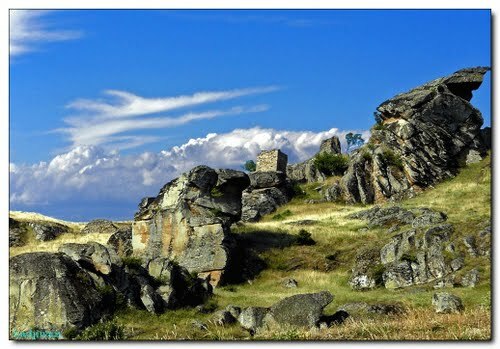 A 30 min hike from Varosh village will take you to the ruins of the medieval fortress known as Markovi kuli. 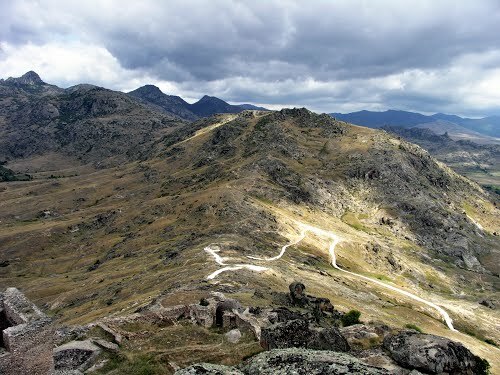 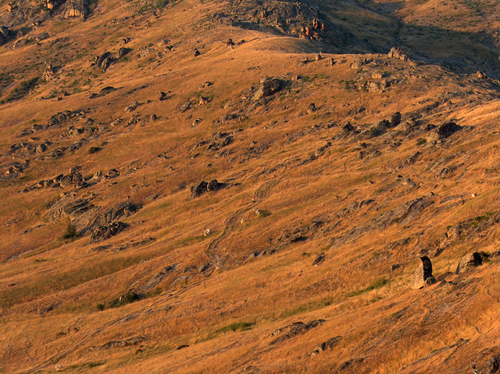 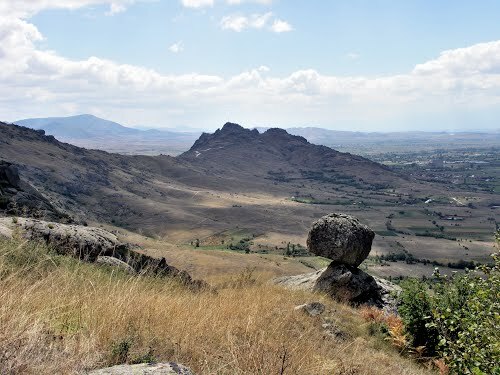 The hike is through a strange bare landscape with huge rocks in different shapes. 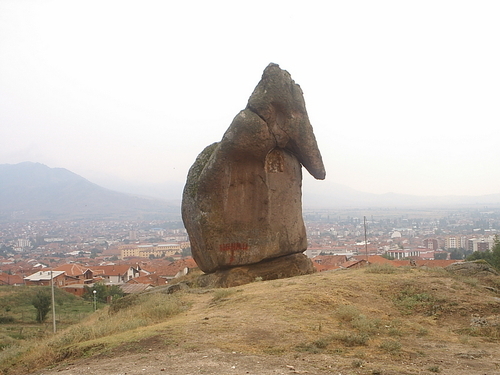 On the beginning is the Stone elephant work of nature. 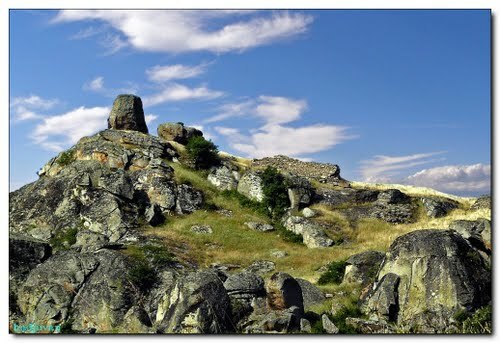 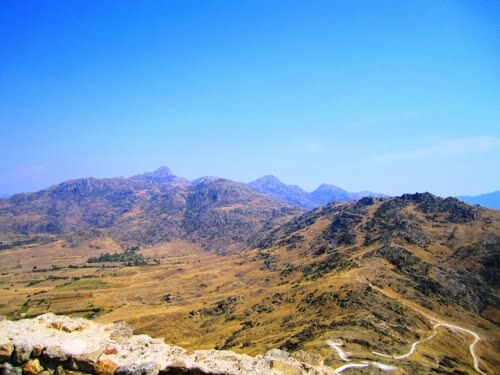 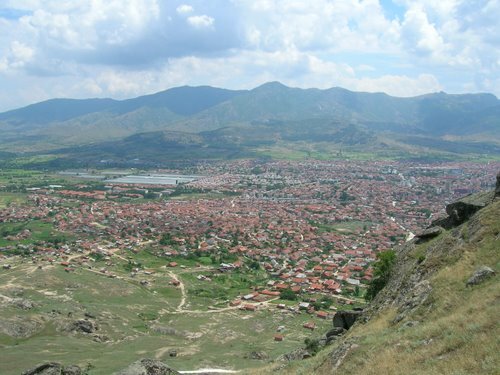 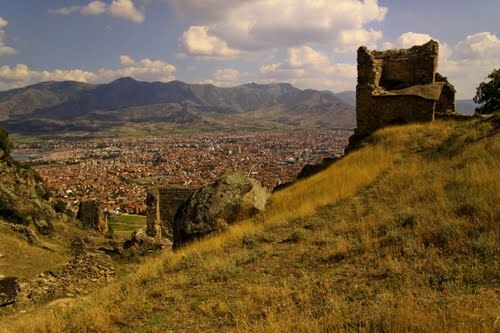 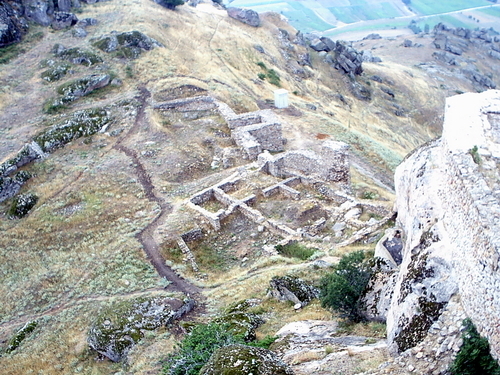 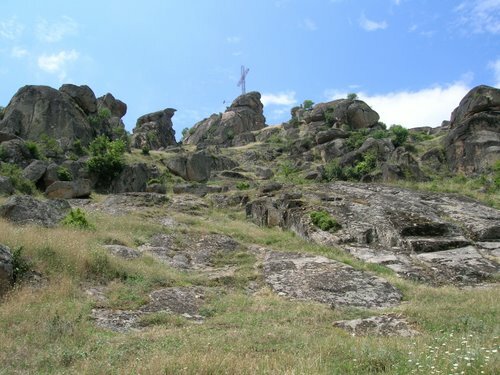 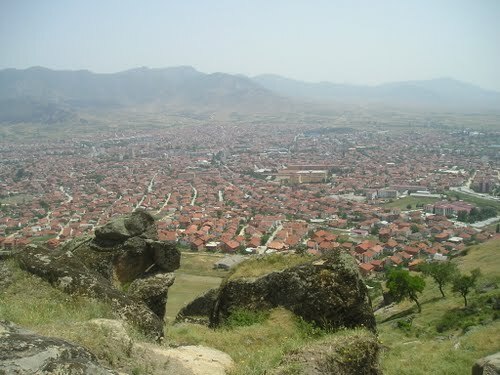 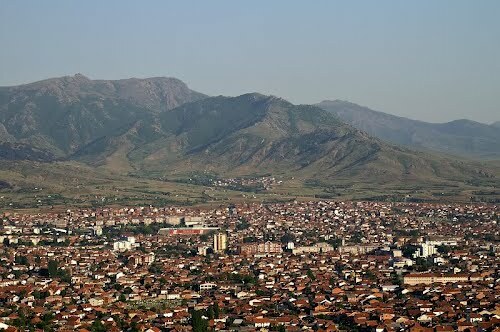 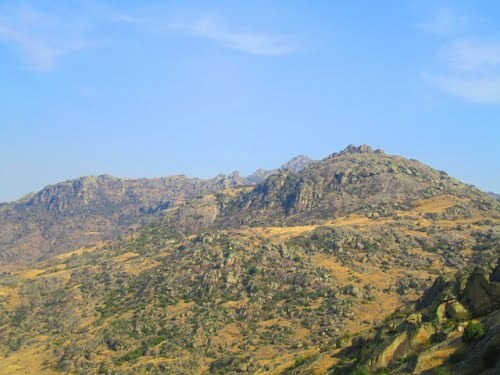 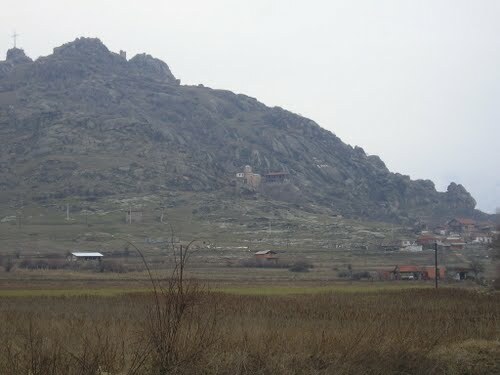 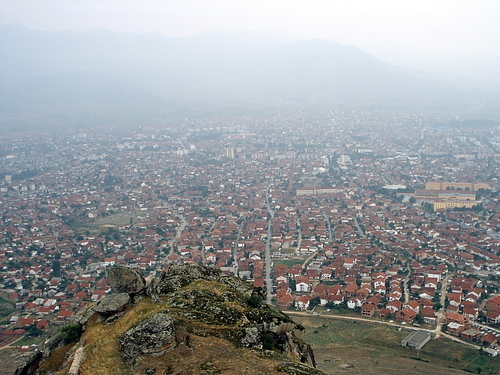 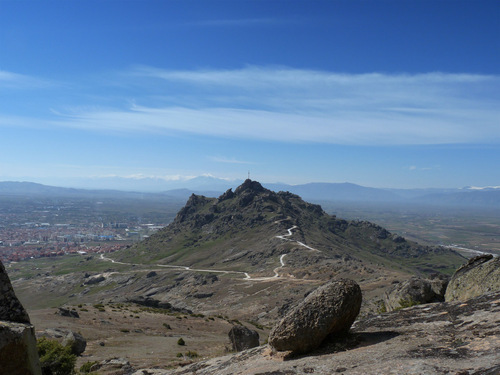 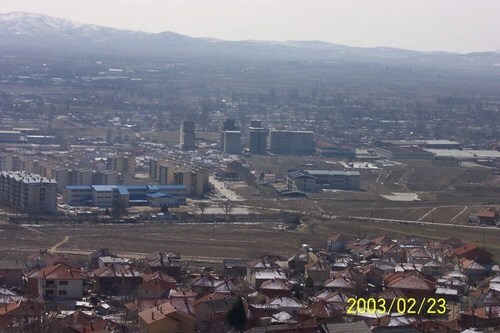 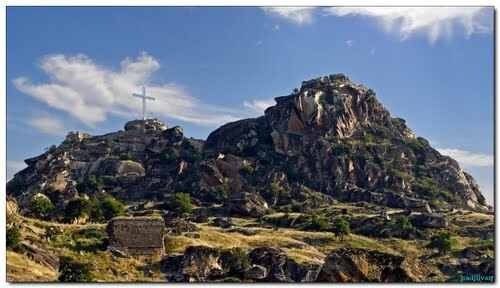 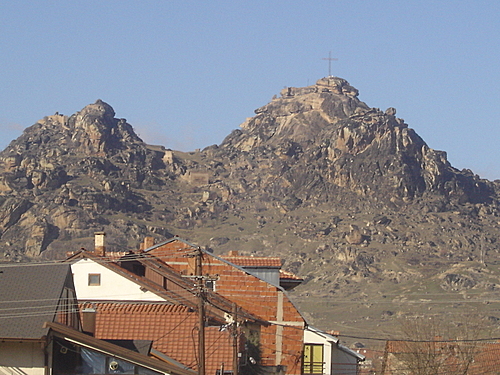 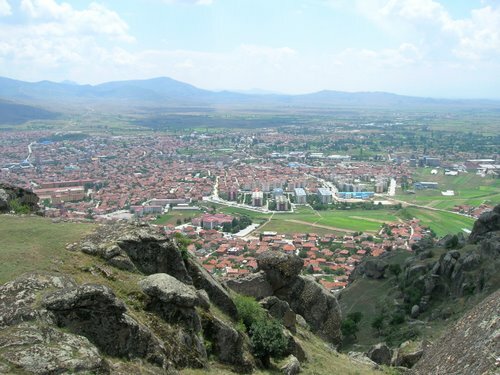 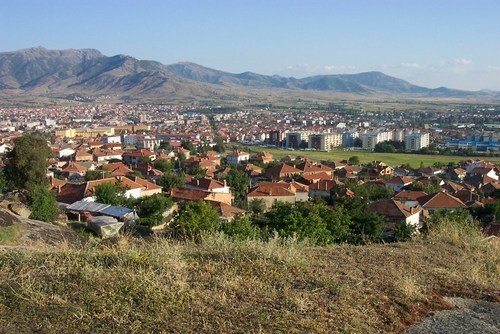 The remains of the fortress look as if they are growing from the huge rocks and there are striking views over Prilep and the surrounding plain. 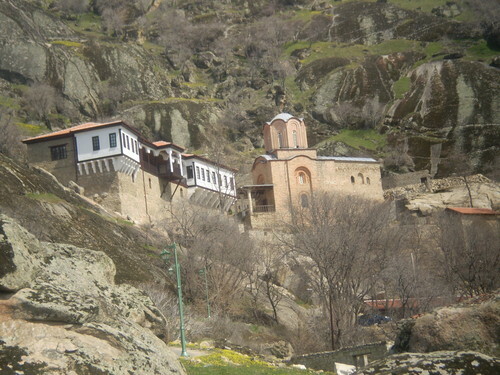 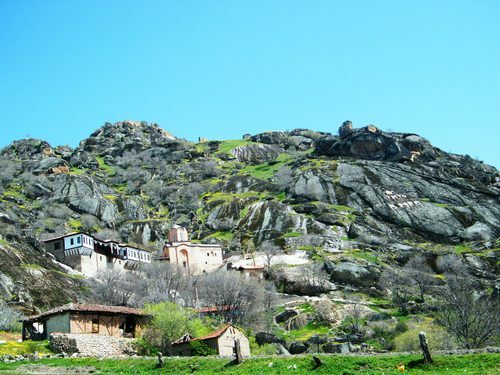 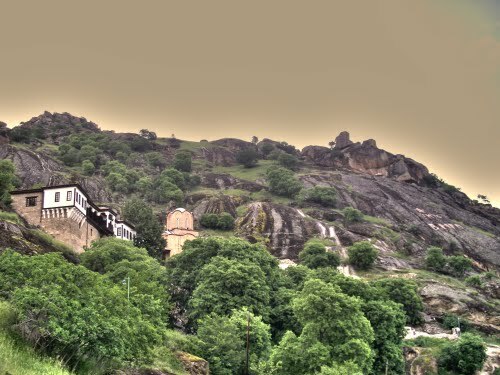 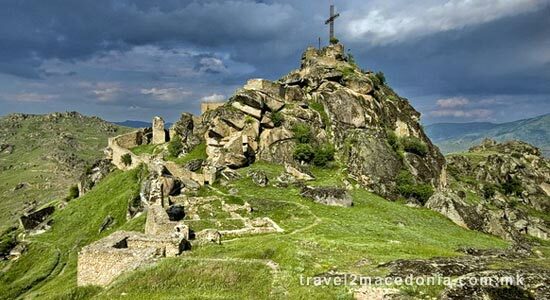 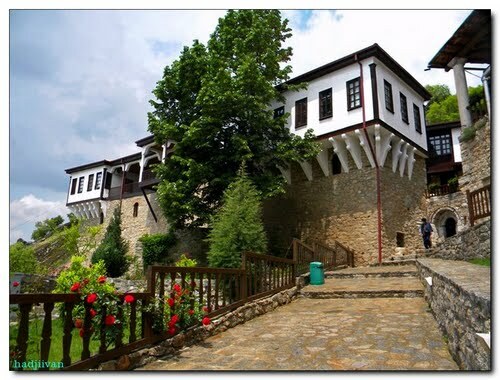 The remains that can be seen are from the 10th to the 14th c.
The fortress can also be reached by much more scenic, but much more rough path from Holy Archangels Monastery. 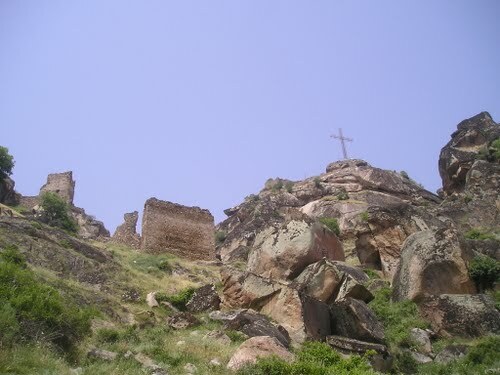 If you are visiting the fortress in summer do it before noon and bring water along since the path has no shades.